Fabulous Waterfront Mini Estate with lovely views of the beautiful Corsica River. Private & Secluded. 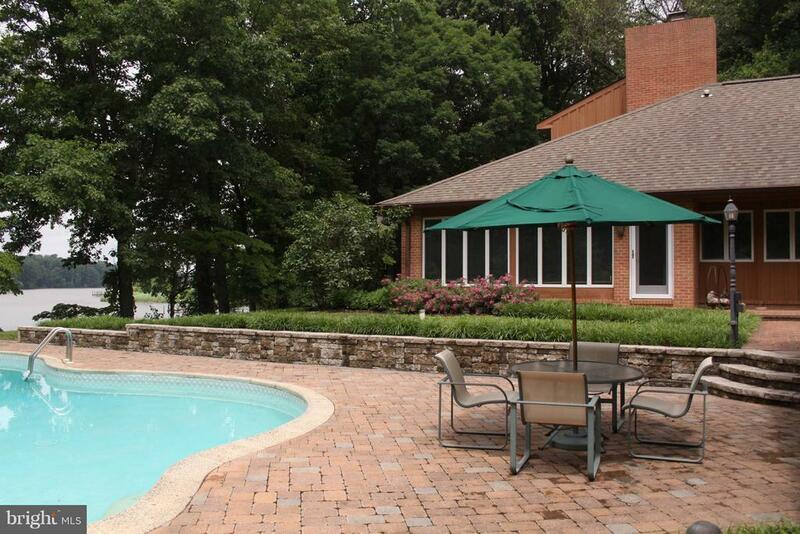 6.87 acres!Long winding driveway, waterside pool, private dock. three car garage. Island kitchen opens to family room and "morning room" overlooking water, pool & gardens. First floor master suite. First floor sitting room, office, or 4th bedroom. Two fireplaces, wood floors, screened porch.